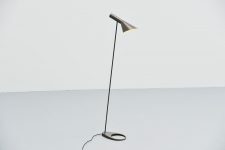 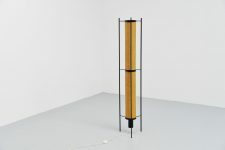 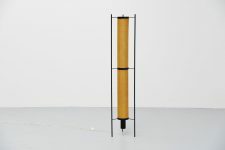 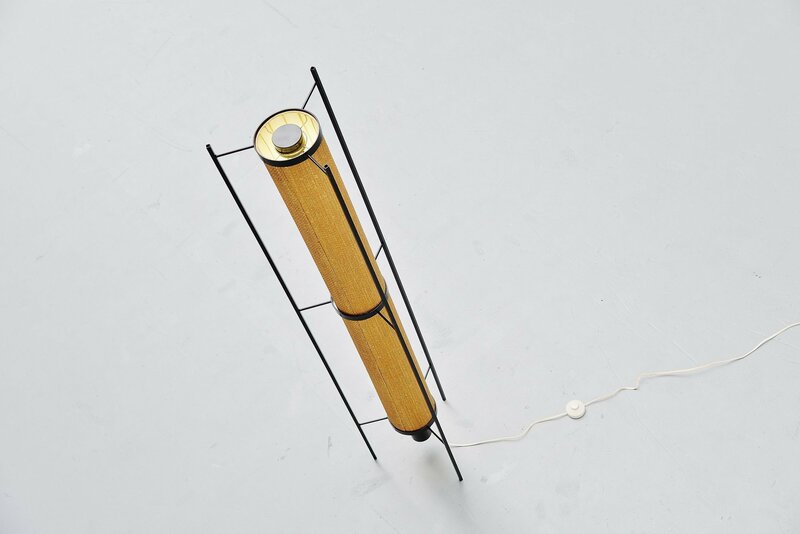 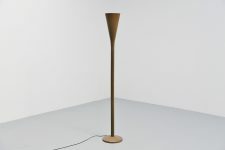 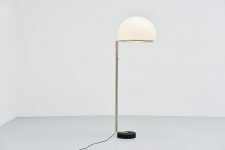 Magnificent modernist floor lamp model K46 designed by Kho Liang Ie and manufactured by Artiforte, Holland 1957. 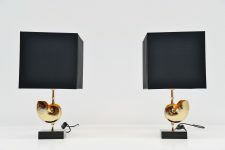 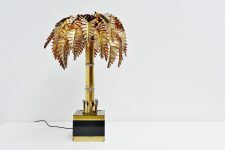 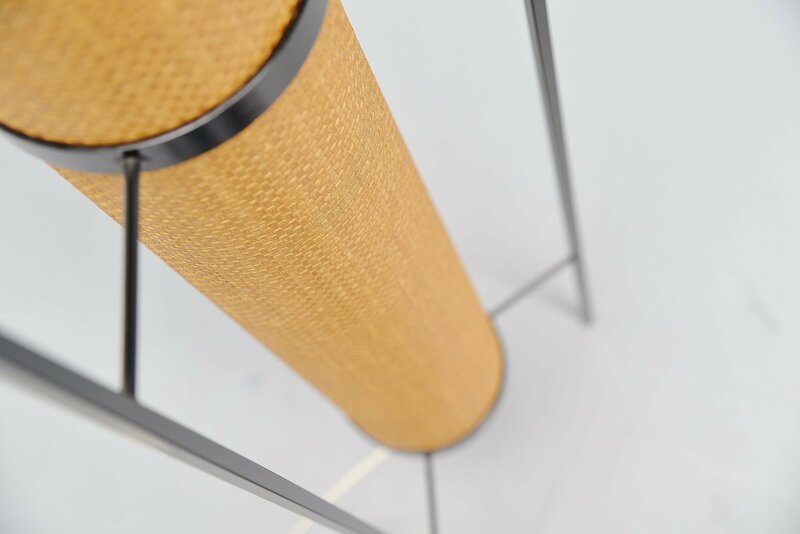 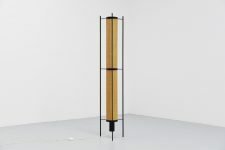 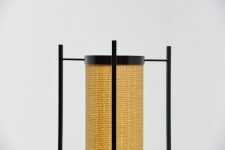 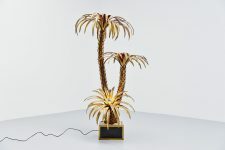 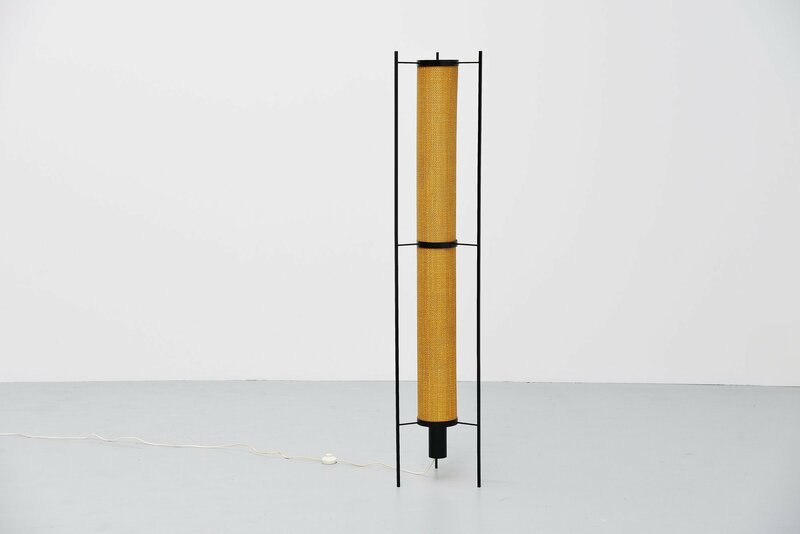 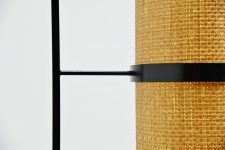 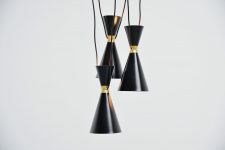 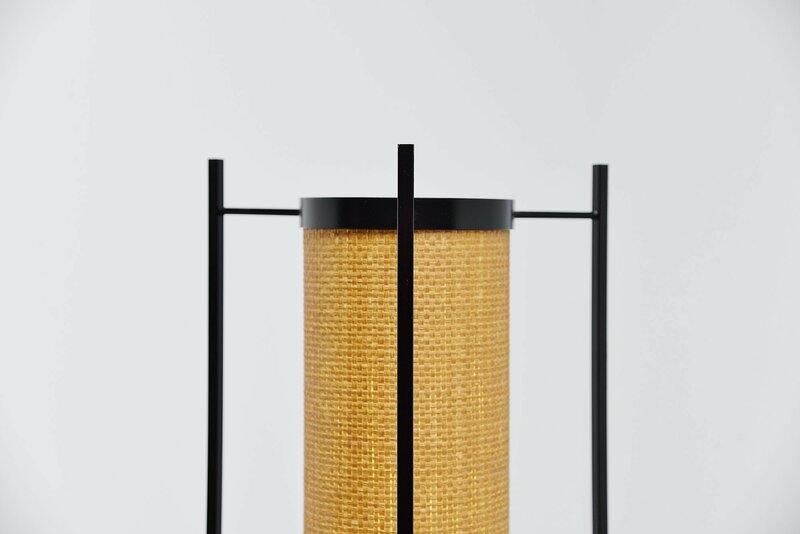 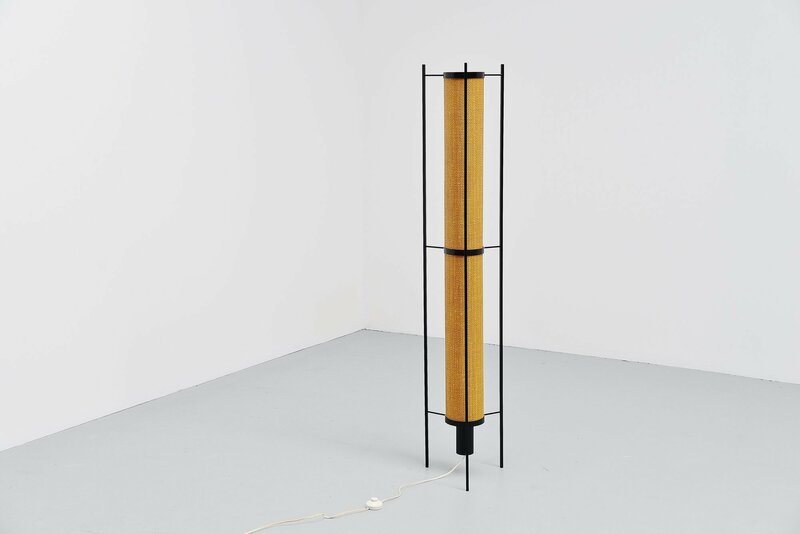 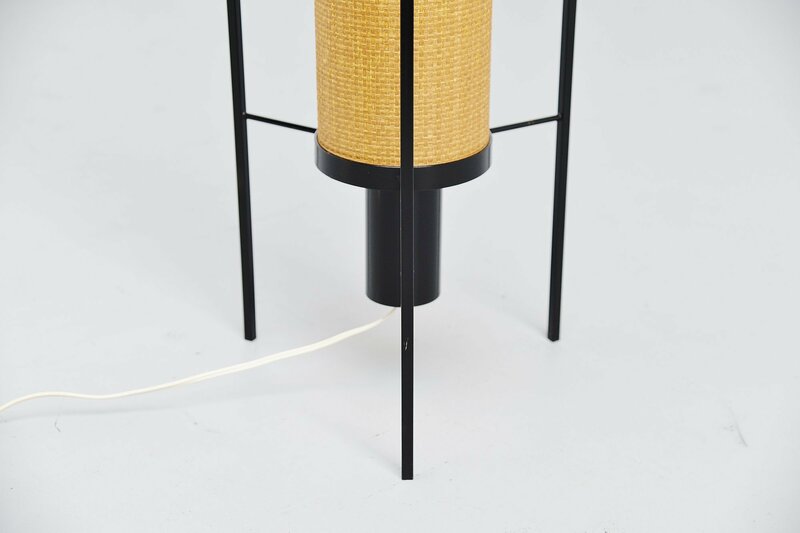 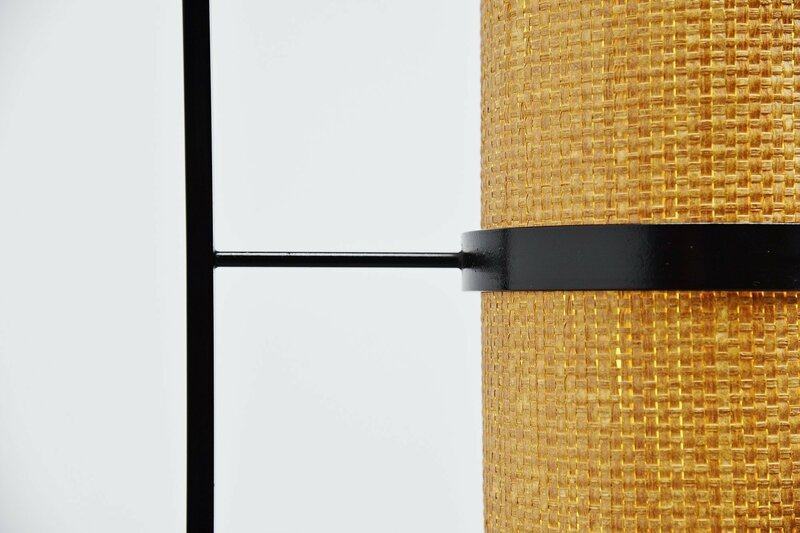 This very hard to find lamp has a very nice Japanese minimalistic look, 3 square black lacquered solid metal bars holding a rattan shade in the middle for very nice warm diffused light. 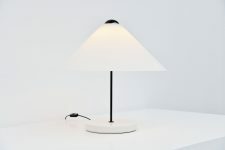 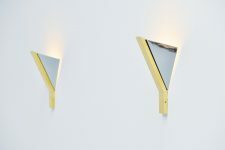 This lamp has a TL lamp for warm light when lit. 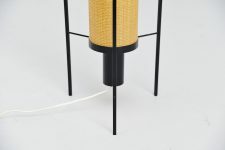 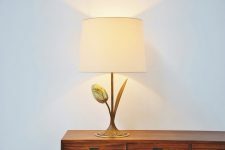 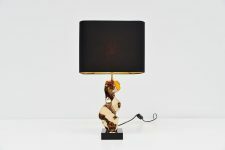 This lamp was made in a very low production process, all lamps are hand built. 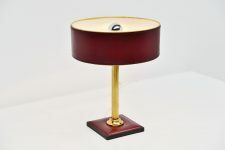 This lamp has square massive feet and it’s still in good vintage condition with very nice patina from age. 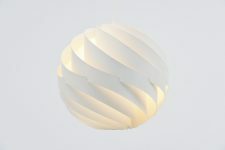 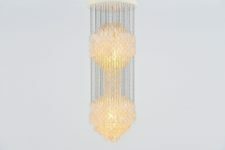 Would adapt all modern interiors as this gives very nice spherical light when lit.